Slow Cooker Scalloped Potatoes – these creamy potatoes are a perfect side dish to just about any meal! You only need a few simple ingredients, and your crock pot does all the work. 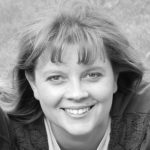 Hi – Kara here! Potatoes are a favorite side dish at my house. They go well with just about any main dish, and my family loves them. We have a large variety of potato recipes here on the site, almost all of them being very simple. 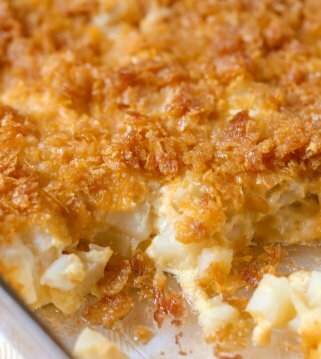 One of those recipes are Scalloped Potatoes – they’re cheesy, delicious and a great side dish. To make them even more simple, you can throw them in the slow cooker. That’s what today’s recipe is for. 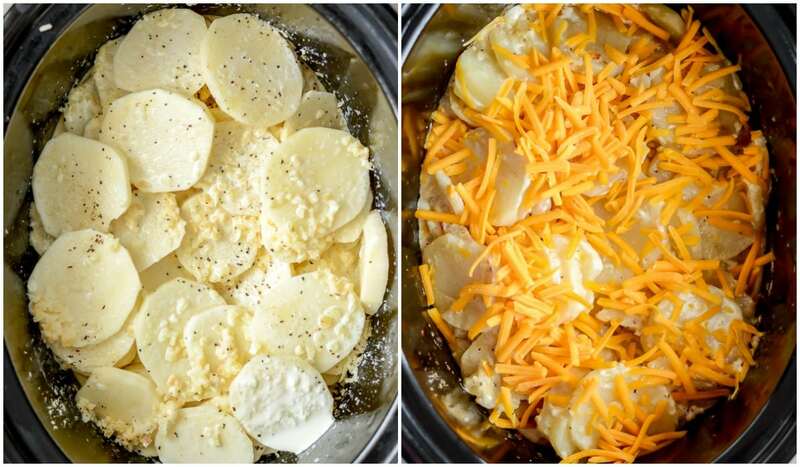 Crock Pot Scalloped Potatoes. 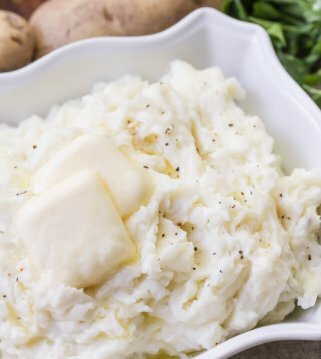 You need just a few ingredients and the slow cooker does all the work to make creamy, delicious potatoes. As mentioned – today’s recipe is simple! Start by peeling and slicing your potatoes about an eighth of an inch thick. Spread about a third of the sliced potatoes in the bottom of a greased crock pot. Sprinkle with a third of the seasonings, then a third of the cream. Repeat two more times. Place the lid on your crock pot and cook on high for 4-5 hours or until the potatoes are tender. I stirred mine once after a couple hours, but that’s not mandatory. If desired, sprinkle cheddar cheese on top of cooked potatoes and cook for about 5 more minutes till the cheese melts. 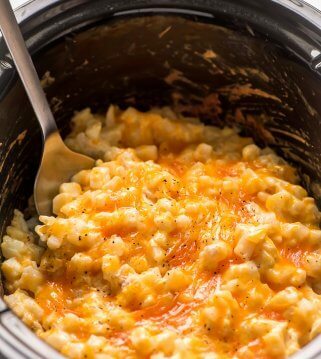 The result is a delicious and cheesy side that required very little work. Which potatoes are best for scalloped potatoes? We used Russet for ours, but these have to be peeled first. 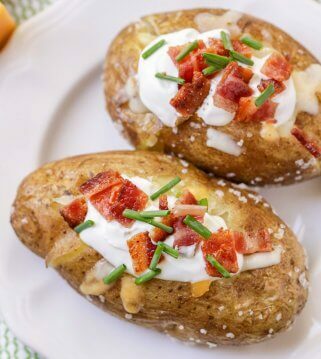 If you are looking for potatoes that don’t need peeling, we recommend red potatoes or Yukon gold potatoes. 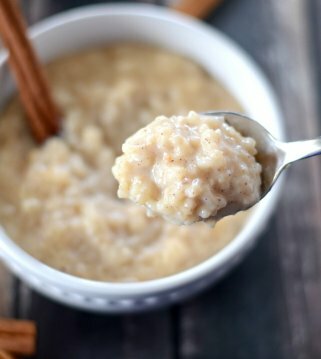 Can you add ham to this recipe? Of course! Just add cubed ham pieces in between the layers. They add a great flavor to this recipe. 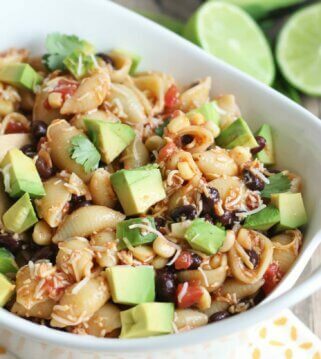 You can also add chopped bacon too which also adds more flavor. 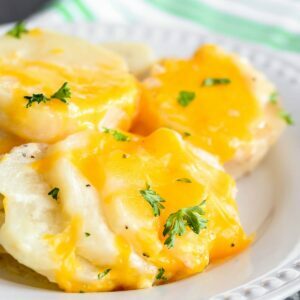 Best cheese for scalloped potatoes? Traditional scalloped potatoes don’t have cheese on top. These potatoes are actually plenty delicious just as they are, the onions and garlic give them great flavor! Since my family loves sharp cheddar cheese, I added some to the top of my mine. You can omit the cheddar cheese, or you can substitute another cheese if you prefer (like Italian cheese or even shredded Parmesan cheese). How to store/reheat scalloped potatoes? If you happen to have any leftover potatoes, place in an air-tight container in the fridge for 3-4 days. To reheat, place in the microwave and serve them with a salad for a tasty lunch! 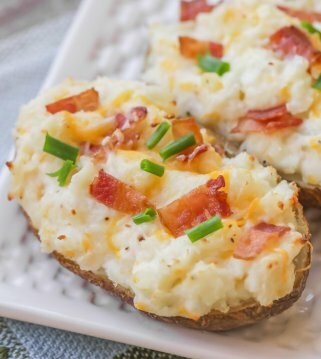 Whatever you do, these potatoes are sure to be a family favorite. And since you don’t have to heat up the oven, you can even make them in the heat of the summer. Wouldn’t they be delicious served with grilled chicken or steak? Peel potatoes and slice 1/8" thick. Arrange a third of the potatoes in the bottom of a crock pot that has been sprayed with non-stick spray. Drizzle about a third of the cream evenly over the potatoes. 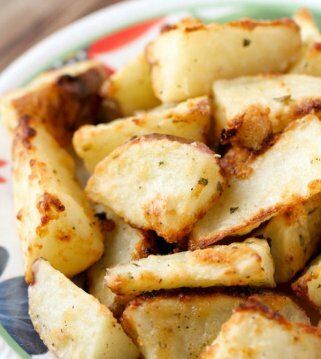 Sprinkle a third of the garlic, minced onion, Parmesan, salt, and pepper over the potatoes. Repeat two more times. Cover slow cooker. Cook potatoes on HIGH for 4-5 hours or until tender. 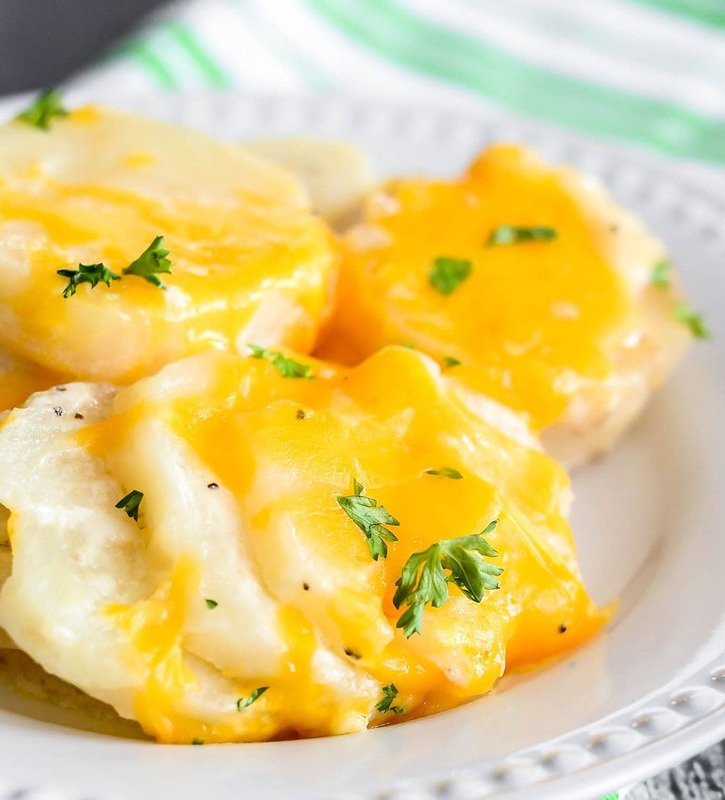 Sprinkle cheese on top of potatoes. Cook for about 5 more minutes or until cheese is melted. Serve hot. Im a potato fan and love them in any form. 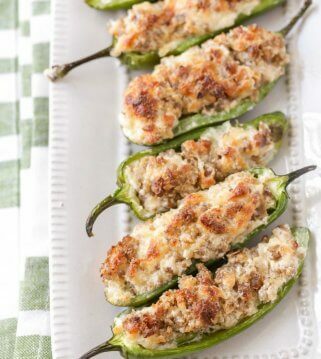 The fact these are cooked in a crockpot is even more appealing. Thanks for sharing. Scalloped potatoes are my hubby’s favorite! They are so cheesy & perfect with so many things! 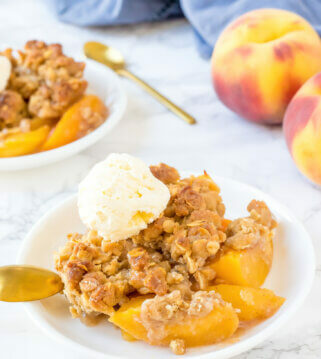 I’m a sucker for crockpot recipes, and this sounds amazing! Can’t wait to try it. My son requests I make these for any and every occasion! 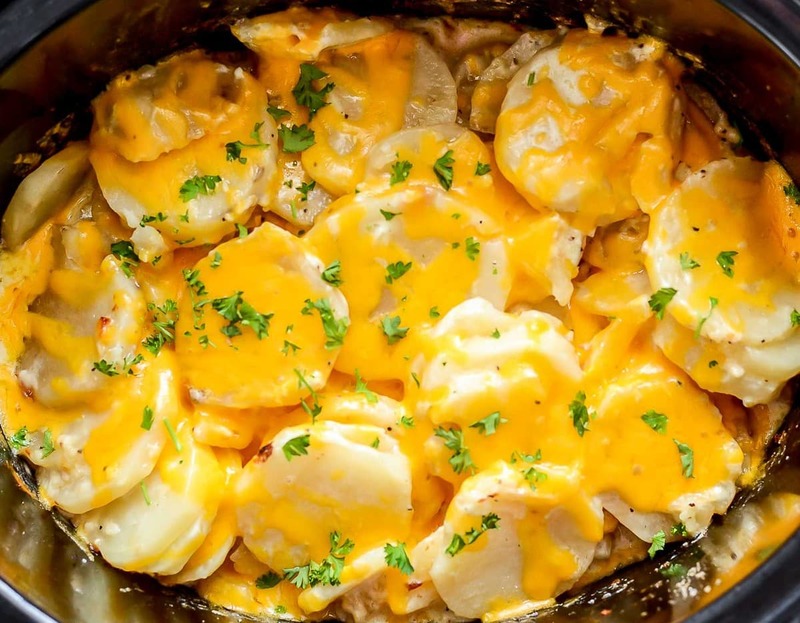 Love scalloped potatoes and such a good idea to prepare them in the slow cooker! I love potatoes. 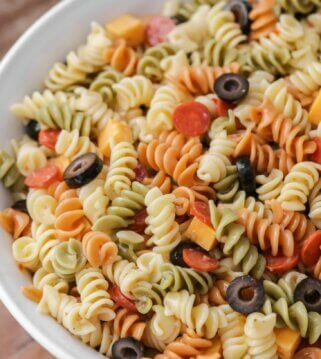 This looks like an amazing recipe. 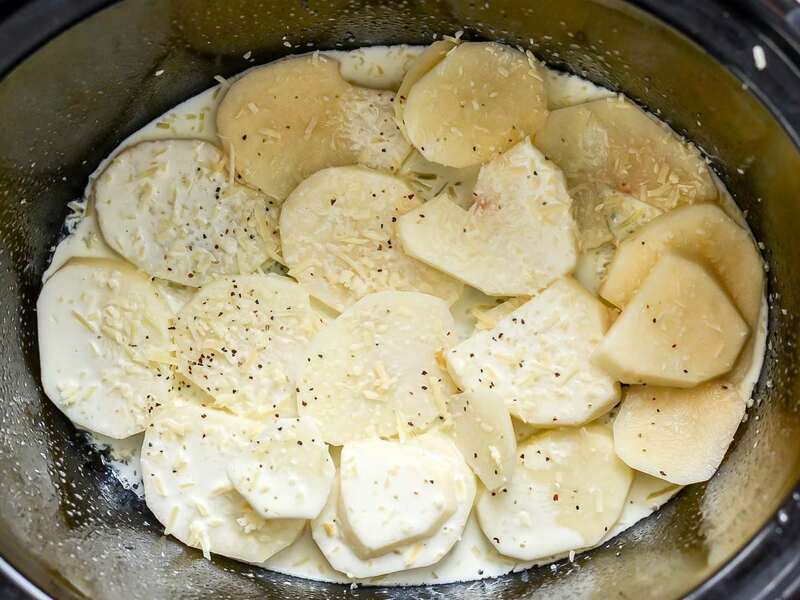 I really like scalloPed potatoes Especially this recipe that goes in the crockpot. 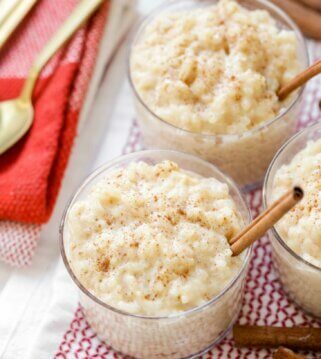 If you ever want to do somethiNg different that mashed potatoes this is the recipe tO try.